Although most children learn to read in classroom programs, a few children have great difficulty learning to read and write. Reading Recovery can help! If your first-grade child has been offered Reading Recovery lessons it means the teachers think he or she needs extra help with reading and writing. Proficient readers and writers develop early. For children whose literacy skills are just emerging, getting help as quickly as possible will make a big difference in learning. Strong writing skills are essential for success in school and later life. A Reading Recovery teacher has special training to find out exactly what your child finds hard about reading and writing. Your child’s Reading Recovery lessons will be based on what he or she knows and will be adapted to make it easy to learn. The teacher will give your child an individual 30-minute lesson every day for 12 to 20 weeks. In that time you should see your child’s reading and writing improve quickly. This new learning usually helps children feel more confident about classroom work, too. In the United States, more than 2.4 million children have had Reading Recovery lessons, and about 75% of students reached grade-level standard after a full series of lessons. Even children who do not reach this standard will have made considerable improvements in reading and writing. With information gained during Reading Recovery lessons, teachers and administrators can make good decisions about future support your child may need. Is Reading Recovery available in my child’s school? About 2,975 schools (965 school districts) in the United States offer Reading Recovery to first graders who struggle with early reading and writing. In Canada, Reading Recovery is offered in 902 English schools and 22 French and French Immersion schools. 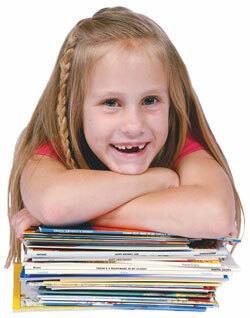 If your child is having difficulty with early reading, ask your school about Reading Recovery. To locate the closest Reading Recovery teacher leader (the person who trains Reading Recovery teachers) check the Teacher Leader Registry by state. In Canada, check the Canadian Network for contact information. Help us reach more schools, teach more children, and do more to advance Reading Recovery by sending a tax-deductible gift to the Reading Recovery Fund.